Resource Just For Kids is a complete nutritional formula providing balanced nutrition for children. 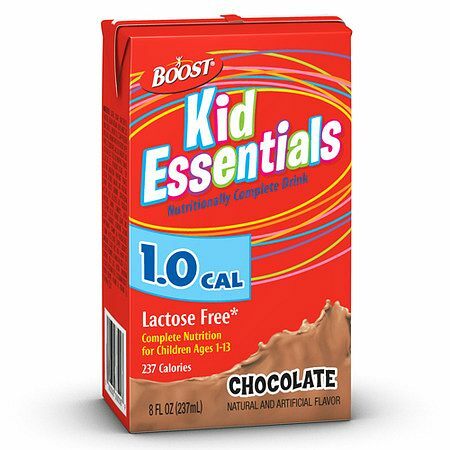 1000 ml (4.2 briks) contain 1000 calories (1.0 Cal/ml) and meet or exceed 100% of the NAS/NRC RDA (DRI for Vitamin D) for protein and essential vitamins and minerals for children 1 to 10 years of age. 202 ml/237 ml. Osmolality: 440 mOsm/kg water. A Medical Food for children 1 to 10 years of age, specifically formulated for the management of malnutrition and other medical conditions with increased nutritional needs that cannot be met through diet modification alone. Not intended for children under 1 year of age unless specified by a physician. Follow physician's instructions. Feed at room temperature. Pour directly into tube feeding container. Adjust formula flow rate, volume and dilution to patient's condition and tolerance. Avoid contamination during preparation and use. Chill before serving. Shake well. Pull foil tab and insert straw or pour into container. Store at room temperature. Unused open portion should be covered and refrigerated; discard if not used within 24 hours.